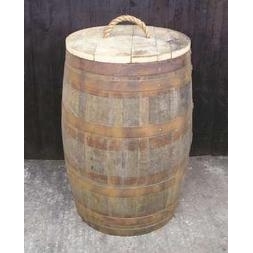 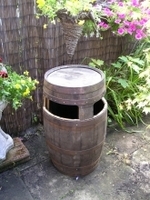 Charming oak barrel waste bins are ideal for use in a rustic environment and they don't blow away on a windy day. 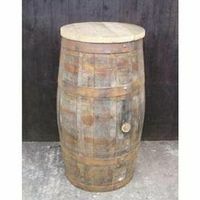 Being made of oak they are a very robust recycled eco friendly product which are suitable for outdoor use. 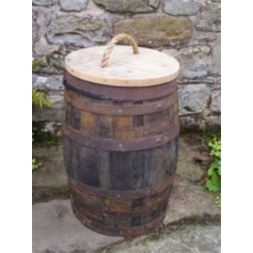 The bins are available in several sizes. 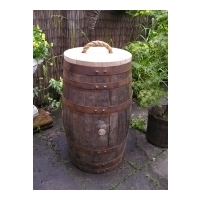 Each has a lift off top and can be fitted with a bin liner. 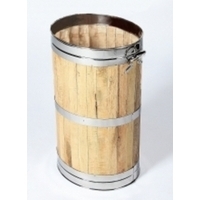 They are great for use recycling bins since several smaller bins can be placed in a garden and have an appearance that is more sympathetic to a garden scene than plastic containers.